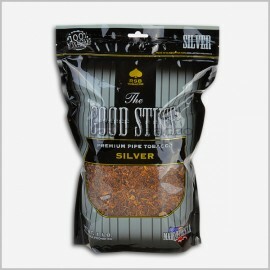 Good Stuff Pipe Tobacco is a fantastic blend of robust and bold flavors with a consistent and even cut. The tobacco itself has a fairly mild pipe tobacco smell with a bold, yet smooth taste that finishes clean. This tobacco is one of the best selling brands on the market for a reason; it's outstanding, Good Stuff Pipe Tobacco comes in a variety of flavors and sizes for every type of buyer. 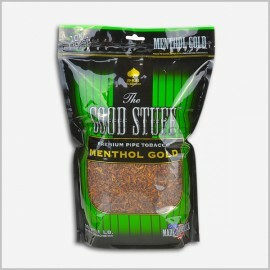 Whether you are a fan of menthol or natural flavors, there is a Good Stuff tobacco to smoke for you. Packed in convenient sizes, you simply cannot go wrong. 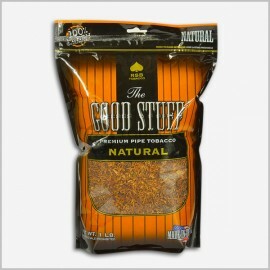 Good Stuff Tobacco Online; Just like the name suggests, the Good stuff Tobacco 16 Oz blend is packed full of natural and familiar tobacco tastes. You won't find any harsh tasting chemicals or treatments with this fresh batch of tobacco. 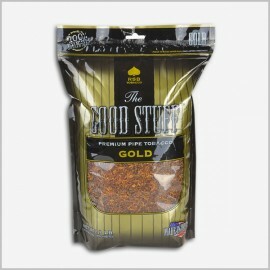 Each bag is sealed in with traditional flavors that you won't find in the Full Flavored Red or the Gold. The flavor tobacco itself has a burn closer to the Gold, as it tends to be much smoother and more forgiving to the less experienced smoker. New great value domestic pipe tobacco. It has a taste similar to Good Stuff Pipe tobacco and comes in a variety of flavors: Full Flavor, Gold Menthol, Menthol Gold, Natural and Silver. 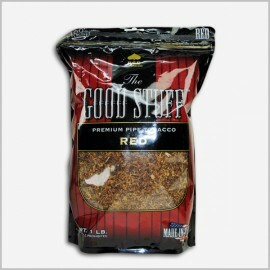 Good Stuff Tobacco Online- Good Stuff Natural Tobacco provides a medium bodied flavor. We offer Natural Good Stuff Tobacco packaged in 16oz stand-up bags with a moisture and oxygen resistant layer that guarantees freshness. 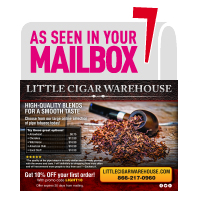 Buy Good Stuff Tobacco Online- Please browse our wide selection of cigars, pipe tobacco and accessories to find everything you need to enjoy a rich, satisfying experience with Good stuff Tobacco 16 Oz. 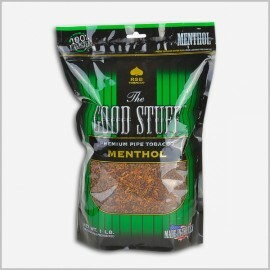 Good Stuff to Smoke has an ultra light tobacco taste Good Aromatic Pipe Tobacco.